~PAPER DOLL EVE~: Belly Dancer costumes coloring page. Trajes de baile para colorear. 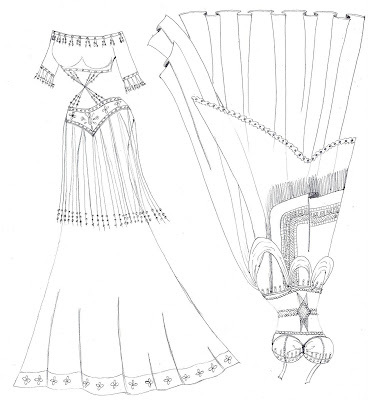 Belly Dancer costumes coloring page. Trajes de baile para colorear. I need a name for her! I have more belly dancer dresses to color tonight. Hope everyone's pencils are ready! Thank you so much Clairejustine! Thanks to you for hosting! See you next week. I know these dresses are going to be so beautiful when you add colour tonight. They are already looking great! Have a wonderful week. Thank you so much Judy! I am already pleased with the 2 pages I've colored so far. I missed you and have a good week!